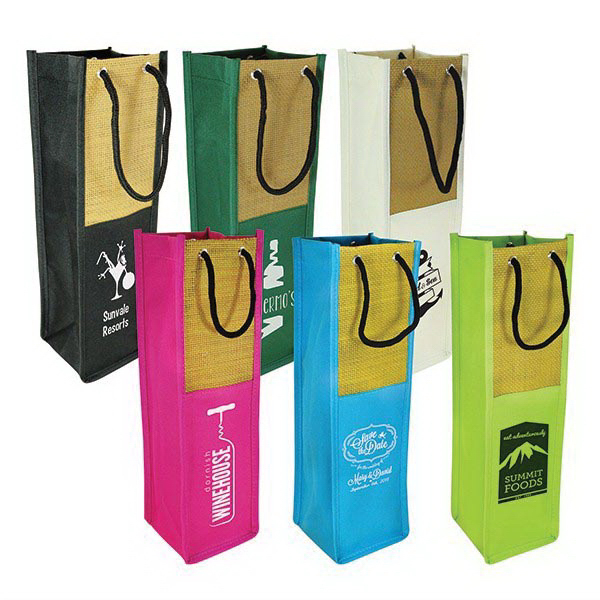 Increase brand recognition with the Sicily Wine Bag sure to wine and dine potential customers. Each bag is made of 600 denier polycanvas and woven “jute like” material with metal grommets and rope handle and measures 13-4/5″h x 4″w with a 4″ gusset. Add your logo to create a custom to create a fun corporate gift. 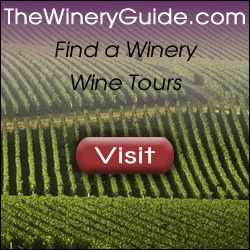 It’s great for carrying your favorite wine, specialty bottles of infused oils or vinegar or even event t-shirts! 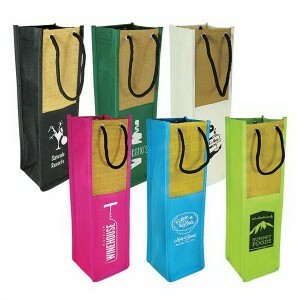 Good for closing gifts, corporate party favors and tournaments.